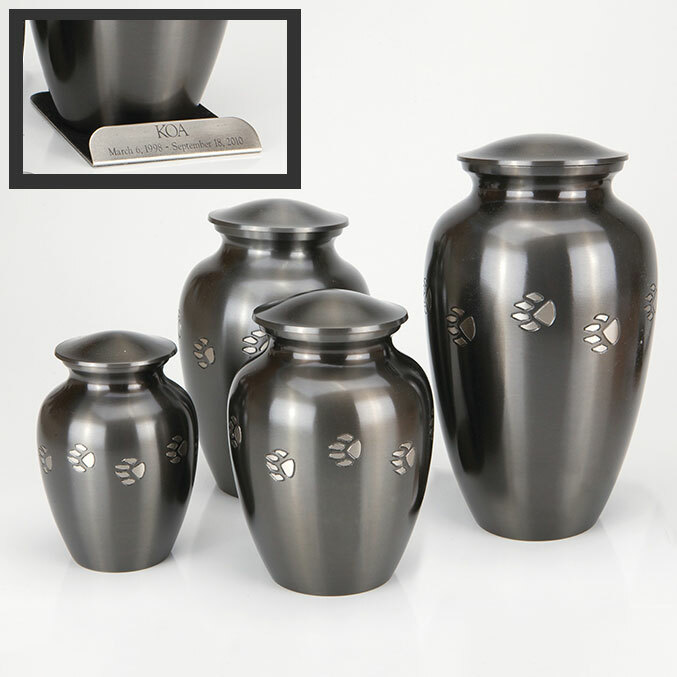 Honor your animal friend with the purchase of a K-9 Cottage© cremation urn. 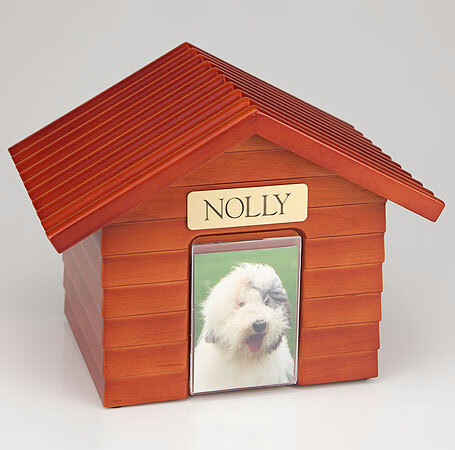 These solid “doghouse” styled urns create an attractive in-home memorial for your beloved pet. 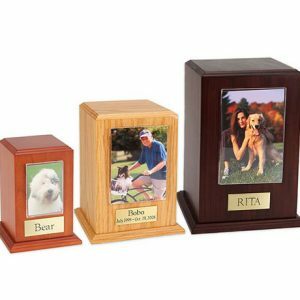 This urn also includes your personal (4 line 100 character) inscription on a premium leaded brass nameplate. 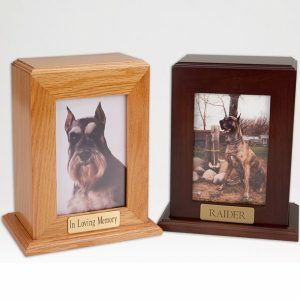 A wallet-sized photo holder (2.5″ x 3.5″) completes the door shape. 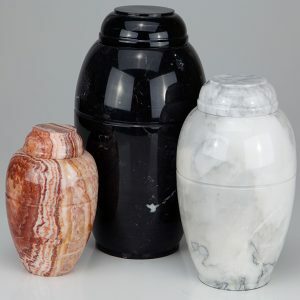 The pet’s bagged ashes are installed through removable bottom which is secured with screws, providing tamper resistant protection.